The IBA Board is composed of 11 members currently: one representative of each member country association, the IBA treasurer and a representative of the blackcurrant processing industry. Three of the board members are elected bi-annually to become the IBA’s president and vice-presidents. Jens Holme Pedersen is a berry fruit farmer on the center island of Fyn. He farms redcurrants, blackcurrants and rosehips. Over many years, Jens has represented growers on various Grower Boards (often in the capacity of Chairman), including the National Board of Danish Fruit & Vegetables. 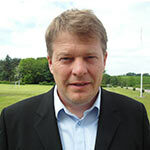 In 2012, Jens received the title of “Denmark Fruit Grower of the Year”. At the IBA conference in 2016, he has been elected vice president of the IBA. In June 2018 at the IBA conference in Angers, the IBA members elected him as their new president. Piotr completed his Gardening Studies in 1996. In 2004, he got a PhD degree in agricultural sciences, with the specialty of horticultural nursery. Issues related to the production of high quality nursery stock have been part of his work. Today, Piotr Baryla is a researcher at the University of Life Sciences in Lublin. In his spare time, he runs a farm orchard near Lublin, where he grows blackcurrants. 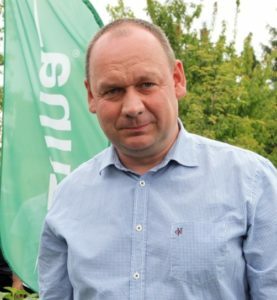 Since January 2013, Piotr has been the Vice President of the Polish Blackcurrant Farmers Association (KSPCP) and President since 2017. Within the KSPCP, he is responsible for organizational matters, advertising and contact with the media. In 2014, he has been elected vice-president of the IBA. Florent Baillard is the Chairman of “AOPN Cassis Groseille Industrie” and a major blackcurrant grower with his wife and business partner Emmanuelle. Their family company also manufactures and markets a range of blackcurrant-based products under their own brand, “Nectars de Bourgogne”. These products include juices and nectars, jams and jellies, coulis, vinegars, poivre de cassis, and other products such as concentrated blackcurrant juices and IQF blackcurrant. In the conference in Angers 2018, he was chosen to be vice-president of the IBA. Anthony Snell is a berry fruit farmer in South Herefordshire. He farms 450 acres and produces over 1500 tonnes of berries, and is the largest organic blackcurrant producer in the UK. In 2011, Anthony was voted “Organic Producer of the Year”. Furthermore, he is Vice-Chairman of the NFU National Horticulture Board. He is also a Board member of the Co-operative Berry Gardens and the UK Blackcurrant Foundation. Anthony Snell has been a member of the IBA Board since its inception and was IBA president from 2016 to 2018. 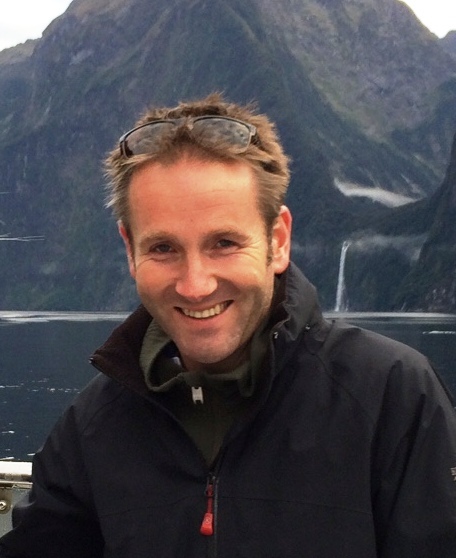 Dirk gained his fruit industry experience working on a fruit farm in Kent, UK. In 1985, he completed his Masters degree in Agriculture at the University of Minnesota, USA. He then worked in various positions in agriculture and horticulture. For the last 20 years, Dirk has been the administrator of a fruit farm in Germany that specializes in production for processors. 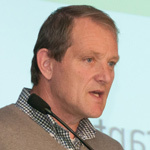 Since 2010, Dirk has been the Chairman of the VJAD, the German blackcurrant growers organisation, and has been president of the IBA from 2014 till 2016. 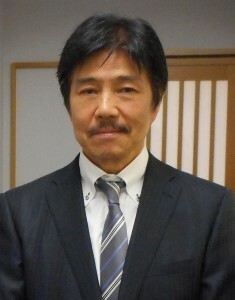 Fujikuma Jun san is the Executive Officer of the Beneseed Co., Ltd. Beneseed was established by Japanese philanthropist and business philosopher, Katayama Genjiro san. This company already assisted the initial development of the IBA as a “family of global business” back in 2008. A film director for 30 years, Jun san specialized in filming world heritage sites for documentaries. In 2004, he met Katayama Genjiro san. Inspired by the social business philosophy, Jun san joined Beneseed. He now works in the area of international business development. Blackcurrants are a key part of Beneseed’s highly successful flagship product. Lauran Vermue runs the Coöperatieve Nederlandse Bessentelers (Cooperative of Dutch Blackcurrant Growers). This cooperative was founded in the mid 1980’s. Today, it consists of nearly 20 member farms in the southwestern part of the Netherlands. All farms grow blackcurrants in combination with other agricultural crops (e.g. potatoes) and fruit (apples, pears). Their blackcurrants are mostly processed for food ingredients such as soft drinks. James is a commercial blackcurrant grower in Mid Canterbury New Zealand, together with his wife Zoe. They have been in partnership with James’ brother Mark and his family, and their parents John and Lynley for 16 years. Combined, they grow 160 ha of blackcurrants. Their 300 ha farming area includes a small area of redcurrants and organic blackcurrants. James is currently Vice Chairman of BCNZ. 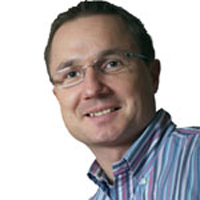 Franz Ennser is the CEO of Austria Juice and has an Agricultural degree from Vienna University. Austria Juice is one of the world’s major blackcurrant customers. It supplies world brands with blackcurrant product derivatives. As part of the IBA Board, Franz brings a key customer perspective to the IBA’s strategic development. Miroslaw has roots in the Lublin region, the key area for blackcurrant production in Poland. PhD, he has graduated from the University of Life Science in Lublin. 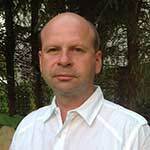 He is responsible in Bayer Central, Eastern Europe & Central Asia for all horticulture crops including blackcurrants. His current position in Bayer is Regional Crop Manager Horticulture, Food Chain Manager, Biologics Ambassador. 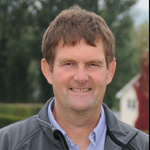 Since 2014, he has been collaborating with the Polish blackcurrant association KSPCP and with the IBA as an expert in crop protection, food chain and sustainable farming. He was elected to the IBA Board in June 2018. Mike Kearney is Manager of the New Zealand Blackcurrant Cooperative. This wholly-owned New Zealand grower cooperative represents all New Zealand blackcurrant growers. Mike was a former economics policy adviser for the Ministry of Agriculture and Fisheries. Holding a B.Ag.Com as well as diplomas in Accountancy and Horticulture, Mike has worked with horticulture industries in both New Zealand and the United Kingdom. At one stage, he also seconded to international fruit and vegetable company Hunter Saphir in London. 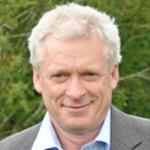 Mike is a member of the New Zealand Institute of Directors and is a Director of Blackcurrants NZ Ltd.